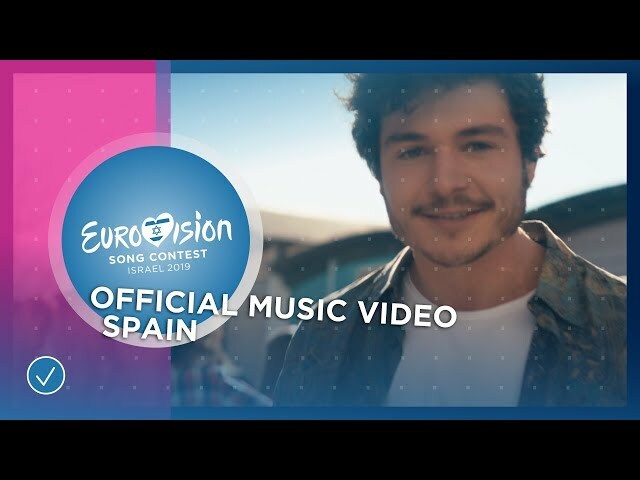 Spain is bringing the “fiesta” to Eurovision 2019 with Miki and his party anthem “La venda” (The Blindfold). A spirited punch in the face that’s driven by good vibes, it’s an extremely danceable song with an empowering and uplifting message behind it. The music video is filled with bright colours and dancing on the street. But Miki is not just throwing a party for the sake of it. The “La venda” lyrics call on people to leave prejudice behind, and to embrace the beautiful life that comes after that. Bias and hate — and by extension xenophobia, homophobia and misogyny — are “the blindfold” that limit us. After it falls, we can embrace true happiness. Olé! That idea certainly comes through in Miki’s music video. All manner of people take to the street to join Miki in celebration — and a choreographed group dance number. It’s riotous and, given that it’s the middle of the day in a public setting, somewhat rebellious. Sometimes to take a stand you’ve got to hit the road. 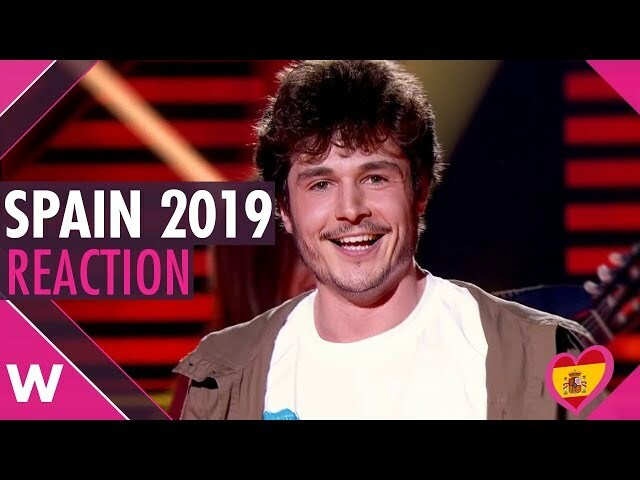 Miki will represent Spain at the 2019 Eurovision Song Contest in Tel Aviv with the song La Venda. *’ere’ is a colloquial way of saying ‘eres’ (‘are’ — as in ‘you are’, second person singular — in Spanish). Spain Eurovision 2019 reaction video | Miki "La Venda"
Suzanne — William's American sister — reacts to Spain's Eurovision 2019 song "La Venda" from Miki. He won OT 2018 with the upbeat number. Spain's OT 18 Eurovision Gala winner is Miki with "La venda". We react to the results and talk Eurovision 2019 . “Venda” actually means “blindfold” in Portuguese too. But yes, it also means “selling”, but when the verb is conjugated, like in “I want him to sell his car” (“Eu quero que ele venda seu carro”) or when you talk about the process of selling something. In Brazil, it has even a third meaning, because you can use the word to describe a small grocery store. But not many people use it these days I guess. The verses are quite confusing. They go from the clever provocation of “They buy you because you’re for sale” to meaningless things like “you live in high voltage”. I don’t know if it was intentional, but there’s nothing connecting the dots, it feels like the excess of information we deal with in our lives. Like there’s so much pressure on our shoulders all the time. Then comes the cathartic chorus: once you let the blindfold go, you’ll be able to live the way you want, leaving all those pains behind. It’s not great songwriting, but it’s a feel good song. Hahaha, it’s true. As many people already commented here (usually with mean intentions), it sounds like a “Fifa World Cup anthem”. But it’s also like a street carnival song written to have the chorus screamed by a large crowd. I second that. I know that sometimes it’s difficult to translate some lyrics (the song on this post is a good example of that), but the more personal they are, the more we need to understand them to actually love a song. For example: I liked “Sebi” right away, but after reading the translated lyrics I felt in love with it. Last year, I couldn’t understand all the fuss about “Non Mi Avete Fatto Niente” in Sanremo and then I read the lyrics and everything was so clear. The blindfold — aka, prejudice — prevents people from seeing the beauty of the world. Remove the blindfold and enjoy your life. A strong message. It’s a pity the limitations of the ESC don’t allow for more than six people on the stage, because this is an entry that begs for a lot of people backing it up. Holograms, anyone? I don’t know about holograms unless they bring something new. Sometimes they are effective. Romania 2014 started the trend (Paula and Ovi) then Armenia 2016 (Iveta) and North Macedonia 2018 (Eye Cue) an almost exact copy of Romania 2014 but only one got the Barbara Dex award. IMO Romania had the wow factor since they were the first to try that, Armenia was really good and North Macedonia was meh. But bring on the holograms, I don’t mind them. I assume that the six-person limit is there to try to be fair to the competitors. I was going to ask the same thing, I have no idea how the performance will turn out. Probably they could do something with 5 dancers if the stage is small? Eleni and the dancers made it work last year but the song requirements were so different. Oh, I was completely with Spain, embracing the message and everything. Until they just had to put the blindfold back on with that revamp. La venda esta over. All the revamps this year have been rather subtle. Every single one (Romania, Albania, Spain, Montenegro…). I get that one can shift the song a bit after the revamp (let’s say from 7/10 to 7.5 or 7 or even 6.5), but I don’t think that any revamp thus far has been so impactful to change the opinion drastically. Of course, feel free to disagree. Well the UK still has time to do something… bigger. As I mentioned in another thread, this one has big mass appeal outside of the contest. The energy is very infectious and the hook is terrific. Much as I love the Netherlands, watching how immediately gripping this one was to ordinary folks like my family gave me interesting winner vibes. You really never know. Where exactly do the lyrics call on us to remove the blindfold of prejudice? I’m trying, but I’m not getting that message of “prejudice”. To me it sounds more like escapism, embracing yourself and enjoying life. And the first verse also sounds a bit anti-establishment/anti-materialism. That if you know Spanish, LOL. What an uplifting song! Fiesta no siesta is what we need in Eurovision. Well done Miki!